She explained simply, ‘I went inward. My confidence eroded.’ Have you ever witnessed this pattern? 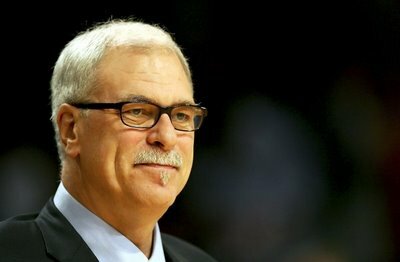 Who is Phil Jackson you may ask? He’s a famous NBA basketball coach who happens to hold the record for winning the most championships. He coached the Chicago Bulls to six championships and the LA Lakers to five. His run is unprecedented – in fact – sports aficionados would be able to quote all sorts of details from his winning record. So why this book? I’ve always heard that Jackson used Buddhism or other non traditional means to engage his players. I wondered exactly what might be at the core of his off-beat approach and whether it would add anything to my understanding of transition. The net of it (no pun intended) is that I enjoyed it more than I expected. Not for the detailed retellings of various championship playoffs. What captured me was his approach which integrated learnings from across a broad spectrum: Buddhism, Native American tradition, psychology, meditation, and countless others. If I had to boil it down Jackson is a spiritual person who espouses at his core a ‘connectedness’ to others. He reasons that hyper-talented superstars are used to accolades and achievement. Rarely have these players developed skills necessary to understand that they cannot win alone. Thus Jackson leverages tools like Zen meditation to engage players in the larger pursuit of themselves via connectedness to others thereby enabling even the greatest players to be better. Embracing an enemy’s gift: Jackson shared a Dalai Lama construct called the enemy’s gift when describing a particularly difficult situation between himself and another coach. ‘Buddhists think that if someone willfully hurts us it is really a gift that enables us to develop greater compassion for others. A path to testing our inner strength.’ (Eleven, pg 185). Interesting. I’m grateful to have encountered this framework. Long before my transition a peer of mine decided to go after me and my organization. He was manipulative and aggressive and unproductive. It ultimately cost him his job. Not sure that even today I can see this as a gift but now I have a better lens…. Long time readers may recall my devotion to Summer Book Review #2: Transitions: Making Sense of Life’s Changes by William Bridges. Bridges defines the transition process as an ending, followed by neutral zone, followed by a beginning. Jackson stumbled onto a similar structure: “The Buddhist teacher Pema Chondron talks about letting go as an opportunity for true awakening. One of her favorite sayings is ‘Only to the extent that we expose ourselves over and over to annihilation can that which is indestructible be found in us. '” (Eleven, 200) A bit morbid perhaps but what a picture. My interviewee deftly managed transition over a six-year interval. Deftly is my word…she only acknowledged being her own worst enemy. Along the way she defined a self-created identity that integrated her whole self and what she believed to be powerful. With this backdrop in place she’s navigated two career changes already…constantly checking for alignment. There was an awful experience with a boss along the way. And a silence that seemed suffocating at times. This entry was posted in "Transition" Book Reviews and tagged Buddhism, career transition, novofemina, observations from a women's transition, personal transition, Phil Jackson Eleven Rings, transition, women's transition issues. Bookmark the permalink.